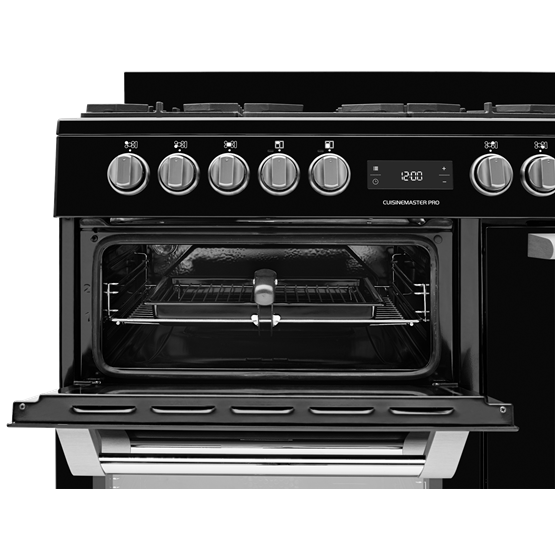 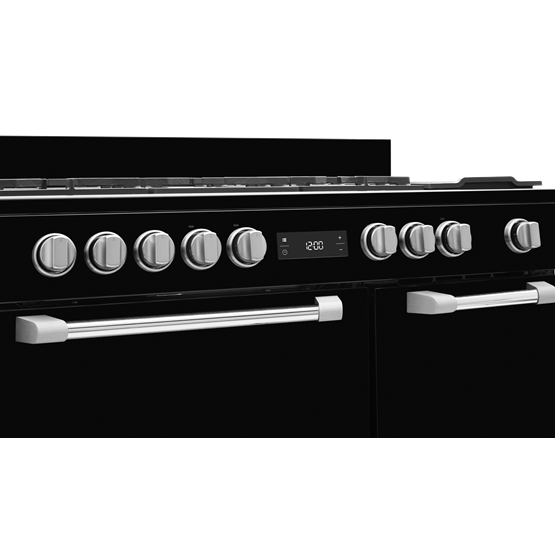 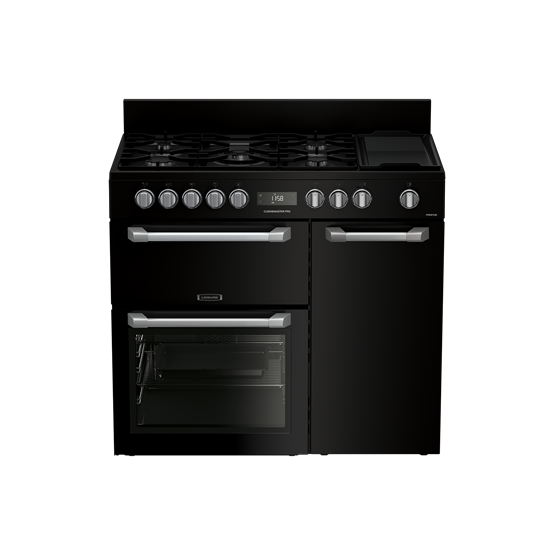 Created to complement a contemporary kitchen, the Cuisinemaster Pro's modern design challenges the thinking that range cookers are reserved for old country homes. 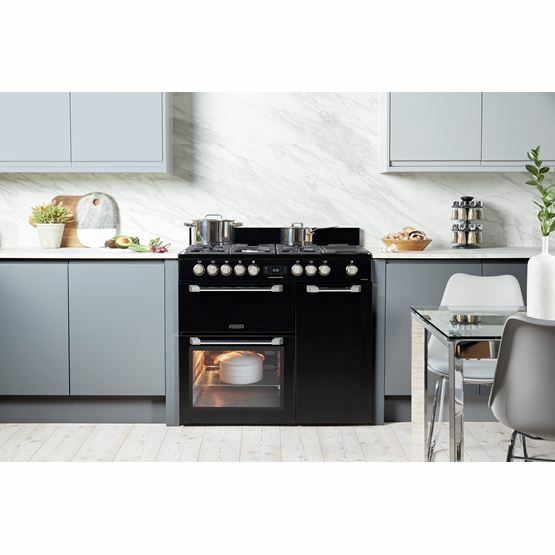 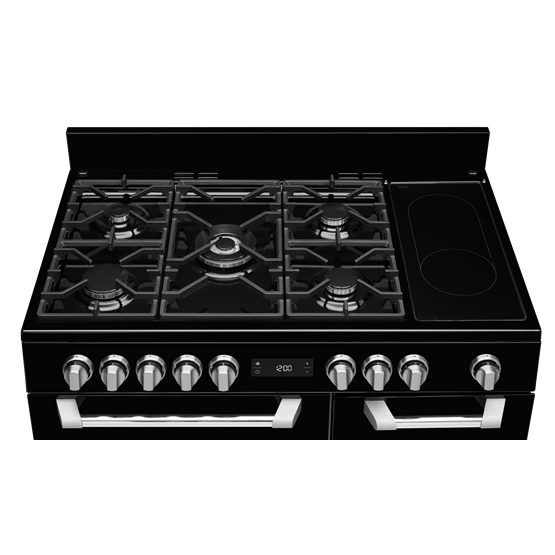 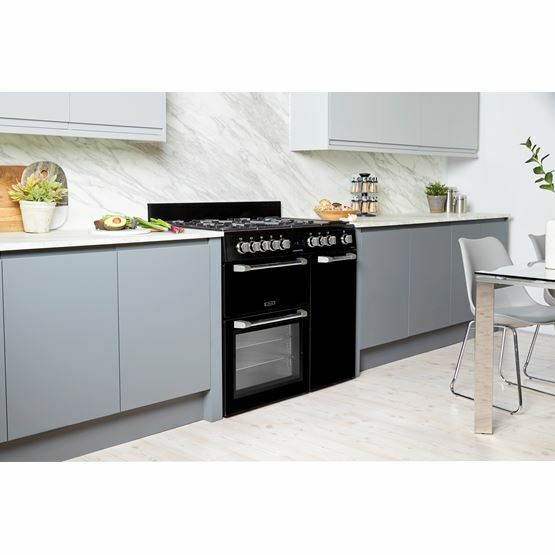 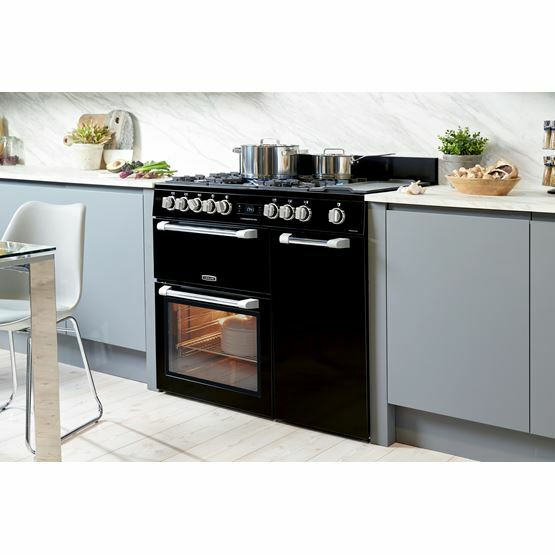 Three separate ovens and a dedicated grill provide plenty of room for cooking up a feast, and the five-burner gas hob also includes a wok burner and griddle, so you'll be able to stir-fry your spicy rice noodles while chargrilling your salmon. 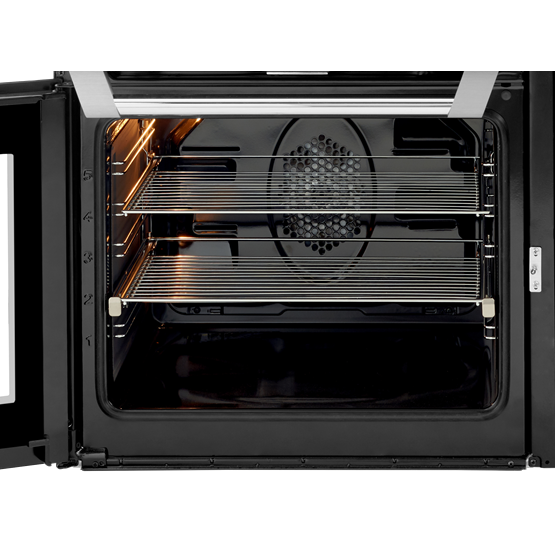 Offering effortless cleaning, the main ovens' Cook Clean liners catch dirt and grease inside the oven, removing the need to scrub the oven walls. 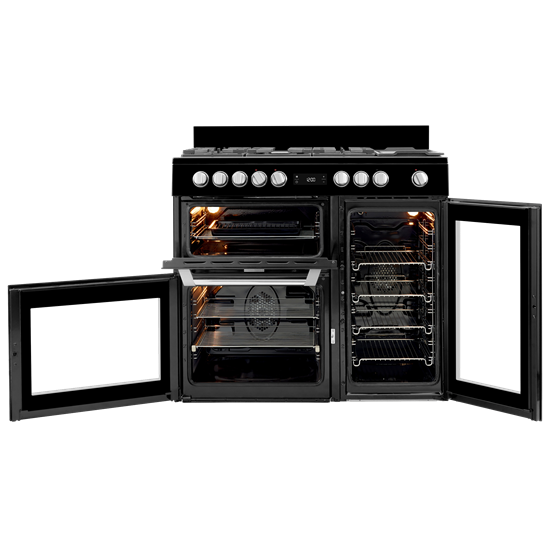 Celebrating your inner foodie, three separate ovens make room for an extra splash of culinary creativity. 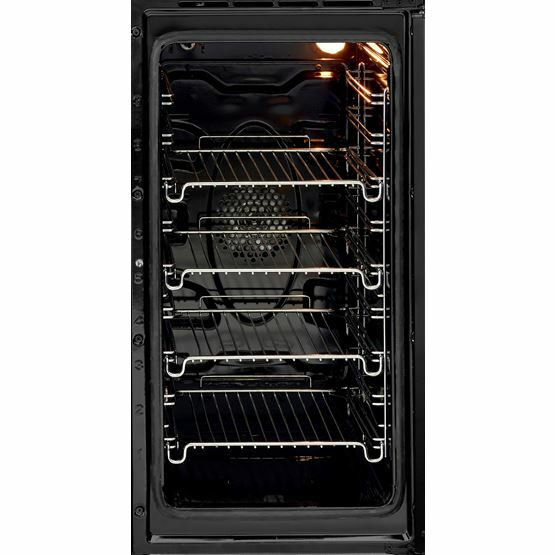 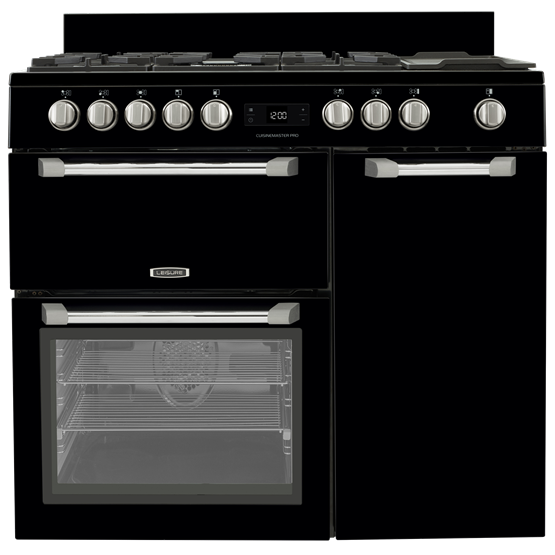 The 75-litre main oven is the largest for its size and is a saviour when entertaining guests, allowing room for a sizeable roast while the other two ovens take care of all your side dishes.